This smart HD video doorbell makes homes and neighborhoods safer with an easy and affordable home security solution. It’s compatible with both iOS and Android devices. 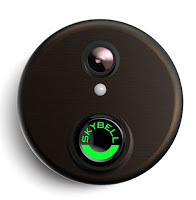 SkyBell’s live video stream allows residents to see, hear and speak to visitors from anywhere. This is the type of holiday gift that shows you care about the recipient because it improves their safety.